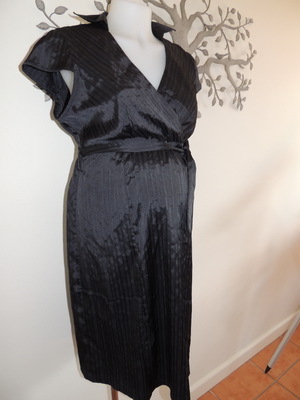 Because of the tailored style you could wear this to any function and feel stylish and stunning. It is by Ninth Moon and is new with tags. I am selling the dress at less than half its recommended retail as it has had a small professional repair which is barely noticeable. The soft self pleated fabric has some stretch. The dress is a crossover style with a collar. 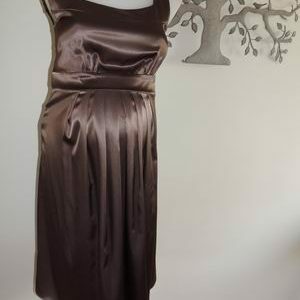 It has a cap sleeve and a waist tie. Suitable for all body types. Be the first to review “NEW Black Pleated Crossover Corporate Maternity Dress” Click here to cancel reply.